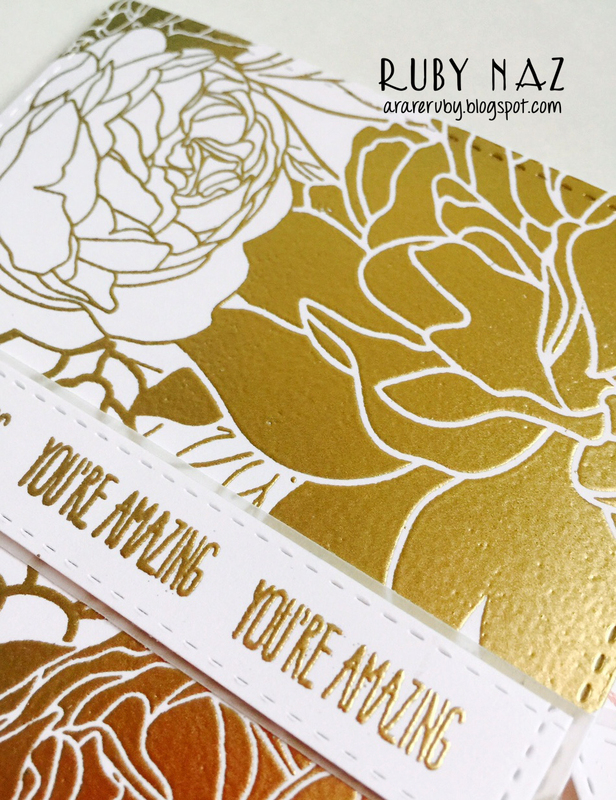 I have a post today featuring The Ton’s first cling rubber stamp called Peony Background. It’s such a gorgeous, unique stamp that is big enough to cover A2 size cards. 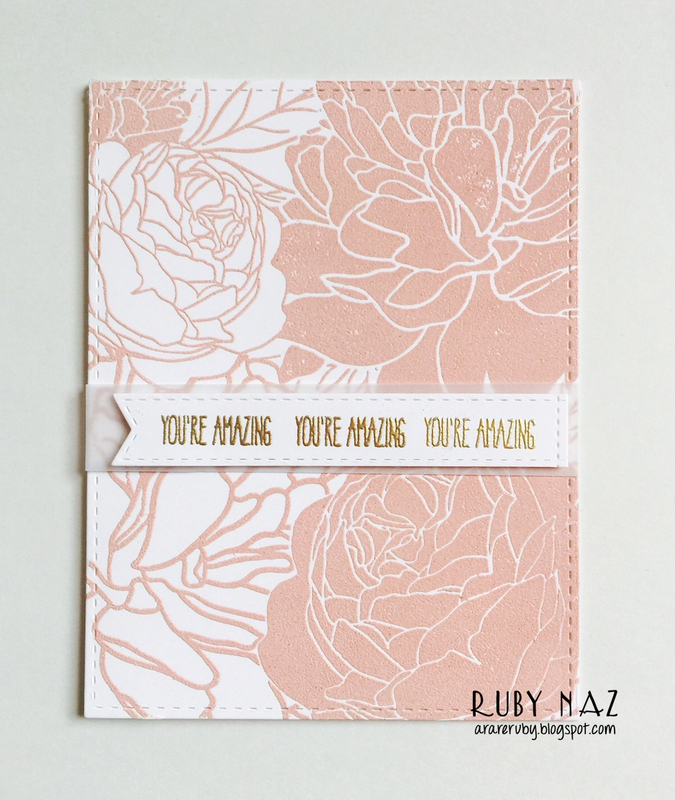 It is slightly bigger so you can decide how you want to center it since it has solid and outline peonies on it. 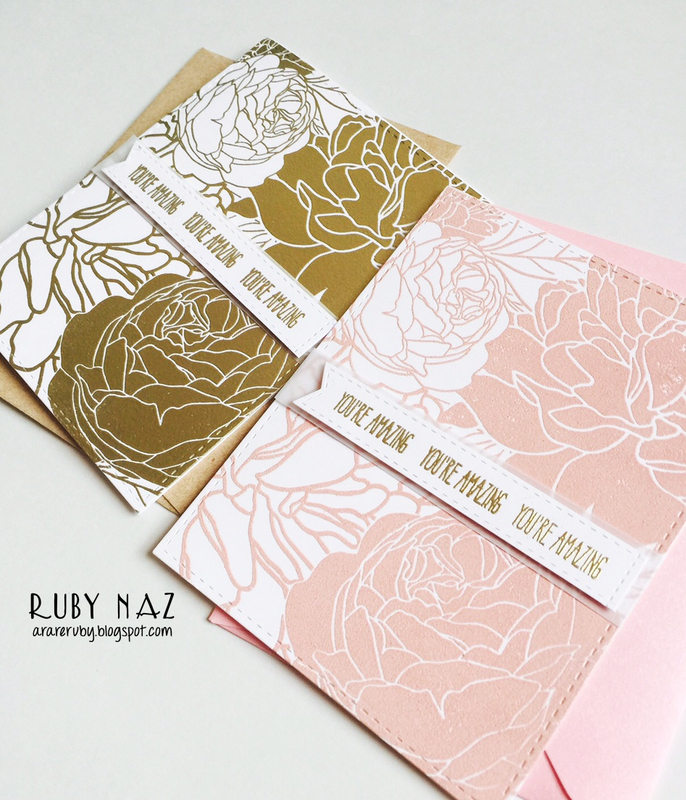 For these cards, I used my MISTI to stamp the background with VersaMark ink and heat emboss with gold embossing powder and coral embossing powder (Stampin Up Calypso Coral, has been discontinued now) for the second one. Look how gorgeous it looks! I love that sheen! The banner is from My Favorite Things Die-namics Stitched Fishtail Flag Stax and the “You’re Amazing” stamp is from Papertrey Ink’s Doodlie-Do. I added foam tape behind banner and attached some vellum behind it before taping it down the center of the card. 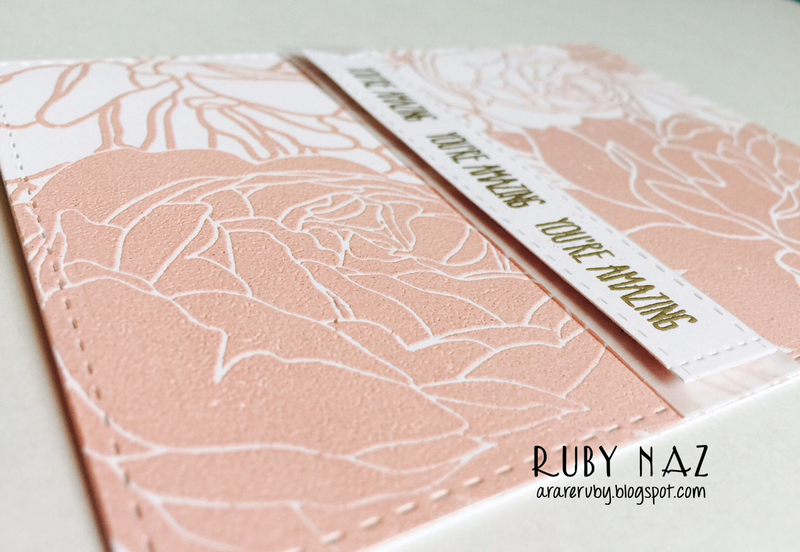 Here’s the card with the coral embossing. I did the same exact things but just used a different color for the background. The card looks more beautiful in person! A comparison of both. You can create a bunch of these quickly as a gift set. They are classy and feminine. I appreciate all the time everyone has taken out to leave me some comments. Since I’ve been busy otherwise, I haven’t been able to write my posts in detail but I know you’re enjoying the photos! Be sure to check out my post for Butterfly Reflections Ink this week, my post for The Ton this week, my entry for the WPlus Throwback Thursday Challenge, my coffee cards from Tuesday and Wednesday, my notecards using Get It Girl and Mini Wild Florals from yesterday, and my giveaway posts on my blog and Instagram. Woah! 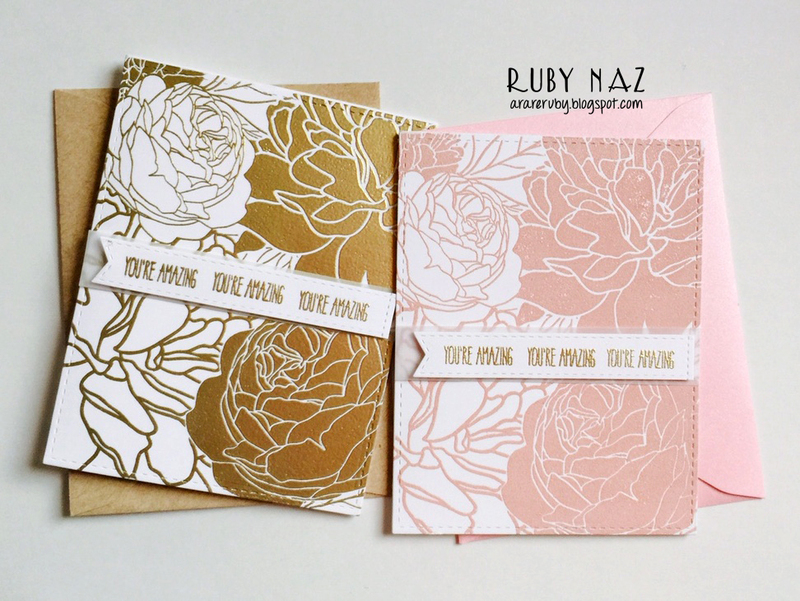 These cards are GORGEOUS!!! 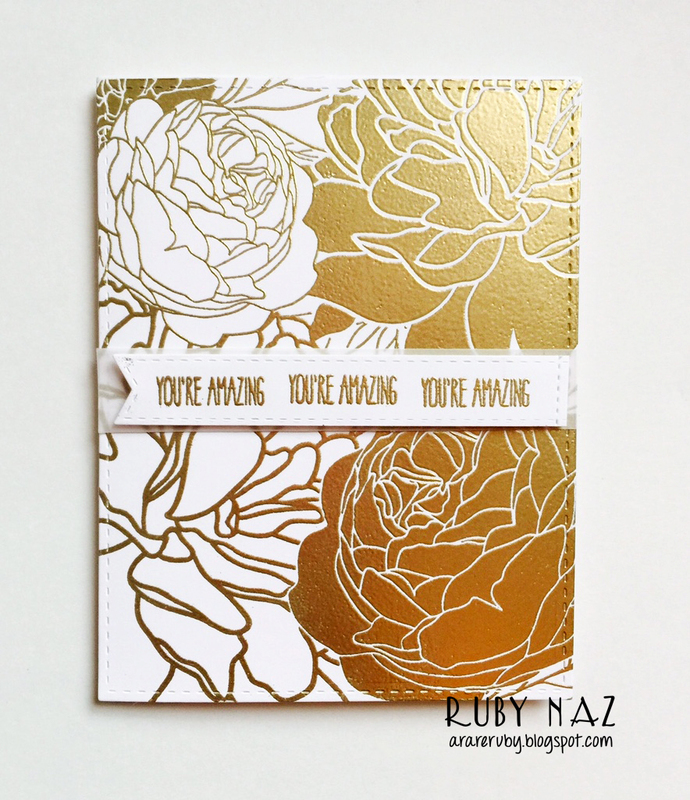 How do you get your embossing so covered and even?!?!!? All I can say is wow!! Both of your cards are gorgeous!! 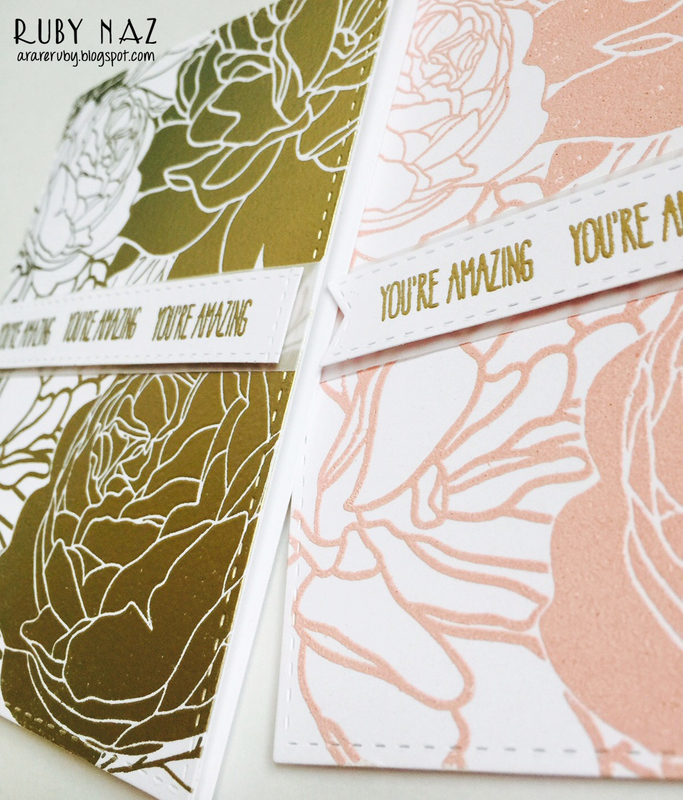 Oh.. you used embossing powders! it' was not a ink! so pretty !! I agree with Vinita Jain! Wowzers it is!!! Both cards are stunning! I LOVE that stamp! 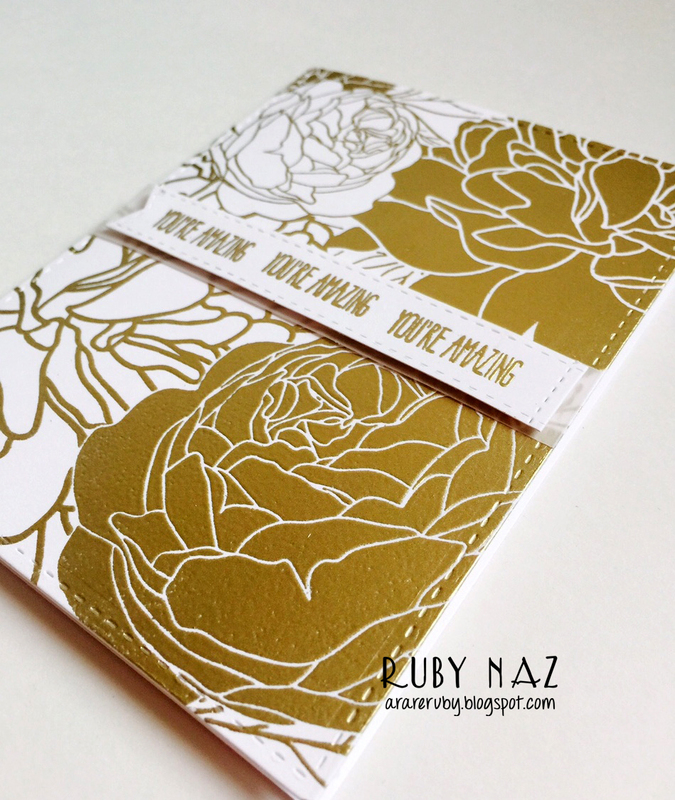 Both cards are gorgeous!! Wowzers, love this big peonies, truly FABULOUS!!! !